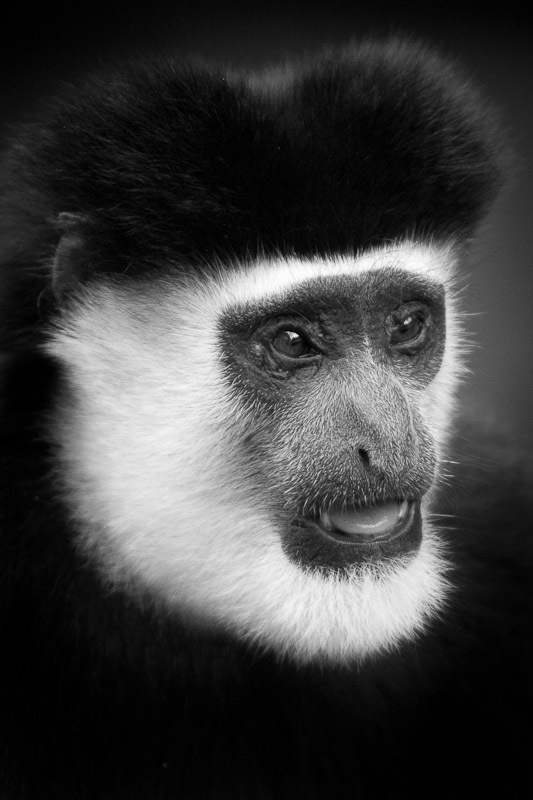 Colobus monkeys are very skittish. This one did not know that i was watching him through a second floor window in my house. Kijabe, Kenya.